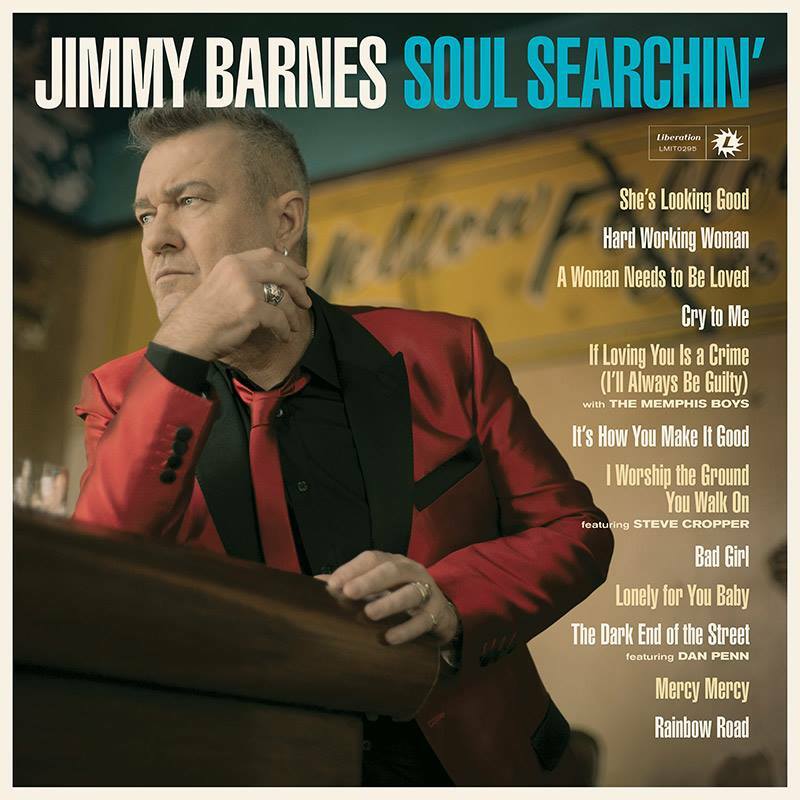 Following on from 1991’s Soul Deep, 2000’s Soul Deeper and 2009’s The Rhythm and the Blues, 2016’s Jimmy Barnes’ all-new 20 track Soul Searchin’ album will bring this remarkable journey and exploration of his music roots to a natural conclusion. Mid last year, Jimmy traveled to America’s south … searching for lost soul gems, searching for the musicians who made them, searching for the places that inspired them and equally re-connecting with his own musical soul at the same time. The recording process was embellished by some very special musicians including Steve Cropper (Booker T. & the M.G.’s, Otis Redding, Sam & Dave, and later gaining fame as a member of the Blues Brothers band), Dan Penn (musician, songwriter, and record producer who co-wrote many soul hits of the 1960s and of course The Memphis Boys who date back to original recording sessions from the mid-1960’s to the early 70’s with Aretha Franklin, Wilson Pickett and Joe Tex, amongst many, many others. Coincidentally, The Memphis Boys played on the original mid 60’s recordings by Memphis soul singer James Carr of both ‘You’ve Got My Mind Messed Up’ and ‘The Dark End of the Street’ which Jimmy re-visits here.